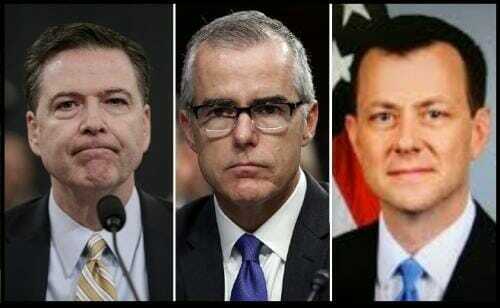 Perceived political bias in the Clinton email investigation demonstrated by former FBI Director James Comey, his #2 Andrew McCabe and disgraced bureau agent Peter Strzok, have wrought immense damage to the federal law enforcement agency. The fall out prompted by Strzok’s anti-Trump text messages and the FBI’s role in the dubious Fusion GPS dossier has led to big-fish, such as McCabe and James Baker, to either plot early retirement or be reassigned. The timing of Attkisson’s tweet is interesting for two reasons. First, McCabe is set to retire early next year after a barrage of attacks for his corruption. With Comey and McCabe out, Baker reassigned, and more FBI officials gone, a self-drainage of the Swamp appears to be in motion. Second, House Intelligence Committee Chairman Devin Nunes is seriously considering compiling a ‘warts and all,’ report detailing alleged corruption at the FBI. It’s plausible the agents rumored to be heading for the door will be included in Nunes’ report and rather than face political headwinds, they’ll resign instead.